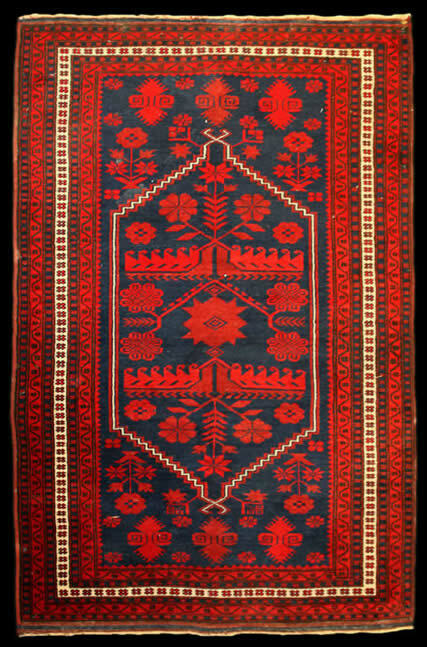 6' 0 " x 3' 11 " c. 1960 Afghan Baluch area rug. Hand-knotted wool on a wool foundation. Handspun yarn, colored using all-natural dyes.